Do you have a passion for the Airbus business and a global mindset? Are you a digital native and have curiosity and an eagerness to learn and to share experience with those around you at all levels? Are you ready to move around the world as your career develops and feel you could be a future leader of our business? If so, The Airbus International Graduate Programme (IGP) could be the perfect starting point for you. This situational judgement test presents you with a series of challenging scenarios that one might encounter in the workplace and then a number of possible responses to the scenario. You then chose which one you feel is the best way to describe how you would react. 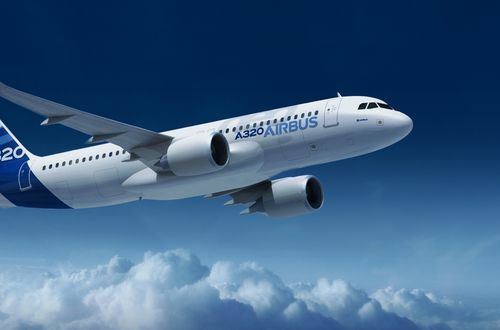 Airbus numerical reasoning test comprises of a series of questions relating to graphs, percentages and tables whereby you will be asked to analyse data and chose from a set of multiple choice answers. This type of tests is used to measure your numerical ability as well as graph and data interpretation. There is usually between 20 and 25 questions to answer in timed conditions. You will be asked to sit these again at the assessment centre. Airbus verbal reasoning test test comprises of a series of paragraphs which you will be required to read and then answer questions. Your options will be True, False or Cannot Tell. This test will be assessing your analytical, comprehension, language understanding and grammar skills, amongst others. These are also timed so practicing within a time limit is a good idea. You will be asked to sit these again at the assessment centre. You will be required to participate in an Airbus group exercise. This is designed to test your people skills and how you work within a group. You will be required to provide possible solutions to a given problem regarding scenarios you may find in the organisation’s work place. You’ll be placed in groups and will be assessed on how you interact in groups. Make sure to find a happy balance between being dominating and passive. The assessors are looking for someone who can contribute but not take over. You will be given a series of topics for a business presentation, usually in the form of a case study and will be expected to present at the assessment centre. You will not be given a huge of amount of time to prepare however researching the company and how they do business is highly advised beforehand and will help with this part of the assessment. You will be assessed both on how you analyse and interpret the case study and how you perform in the presentation part of the exercise.